Solid brass belt or cartridge box buckle, made from an original buckle found near Crown Point, New York. The outside measures 2 1/8" x 1 3/8" and the inside measures 1 3/4". 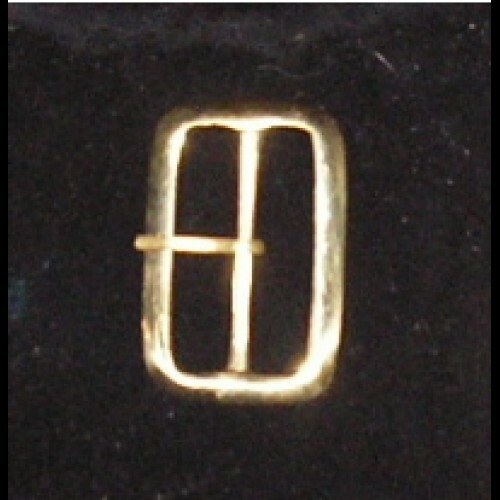 The buckle is polished and has a tongue installed on the middle bar. These are period-correct buckles; the tongues are steel.